Earlier last month, while traveling to the Philippines for a family wedding, my husband, Edric, and I made a weekend pit stop through Singapore on the way back to San Francisco. I didn’t have the most accurate picture of this Southeast Asian island nation, other than the unfortunate news accounts that stuck of the unusual corporal punishments one might receive by the government should you sully their pristine sidewalks with chewing gum. 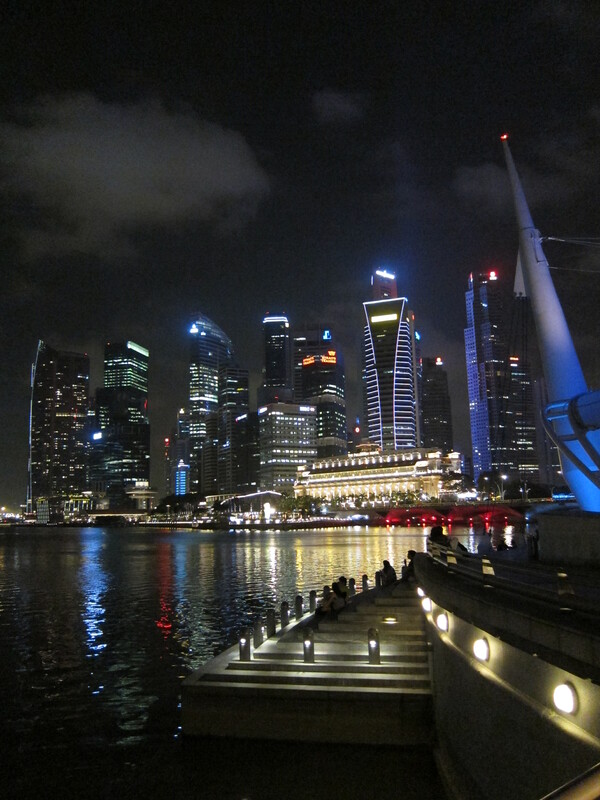 Our view of the Singapore skyline from Marina Bay. Photos by Edric Itchon. While planning our trip from Manila, some Filipino relatives had even warned us about shiny Singapore being “soul-less” in comparison to gritty historic Manila. It would seem Singapore’s sterile cleanliness was the biggest impression left in the minds of foreign travelers I had encountered—a bias that lingered before having ever seen the place. When we arrived, were happily surprised, entertained, and generally taken by our experience there. Yes, it’s true. Singapore is very, very clean. I can hardly remember coming across a single piece of litter or graffiti while strolling around the city—not necessarily a bad thing in my mind. 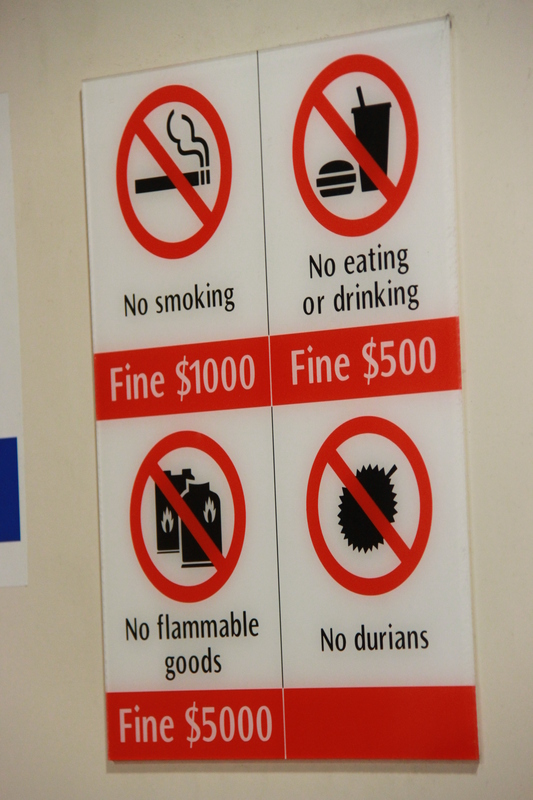 Although the “no durian” signs plastered throughout the metro stations were definitely amusing!